a swan caught in its take off on the calm river a early December morning. This piece is almost black and white except for the orange beak af the swan making this a beautiful minimalistic piece anyone would die for to have in their house. 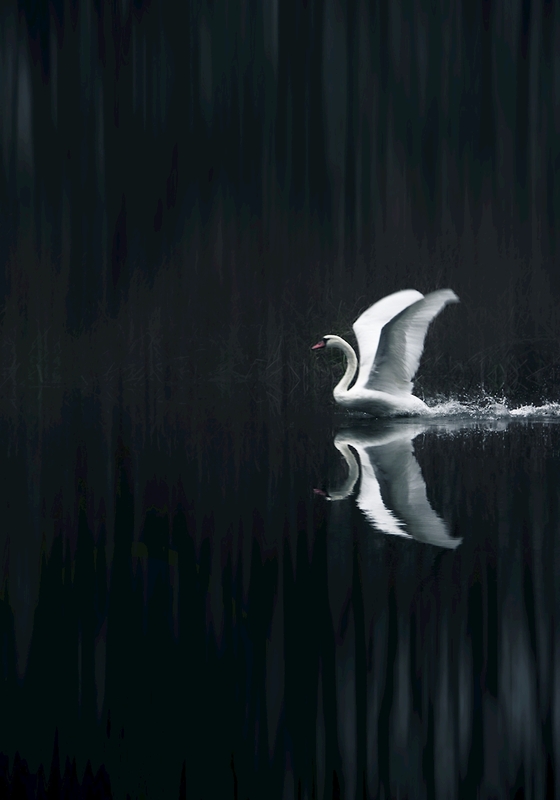 It is named "take off" for the swan that is just flying of.